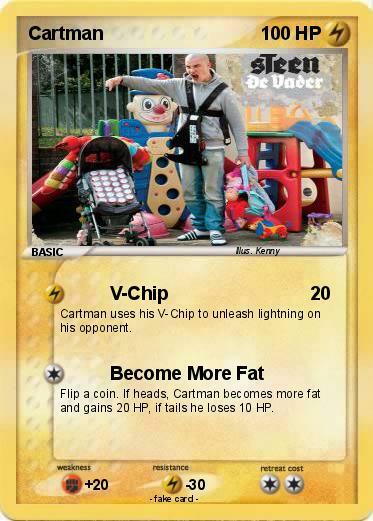 Cartman uses his V-Chip to unleash lightning on his opponent. Flip a coin. If heads, Cartman becomes more fat and gains 20 HP, if tails he loses 10 HP.